Even the most advanced software engineers and streaming products struggle to ensure every event in a stream (or transaction) is processed with 100% accuracy in sub-millisecond speed. 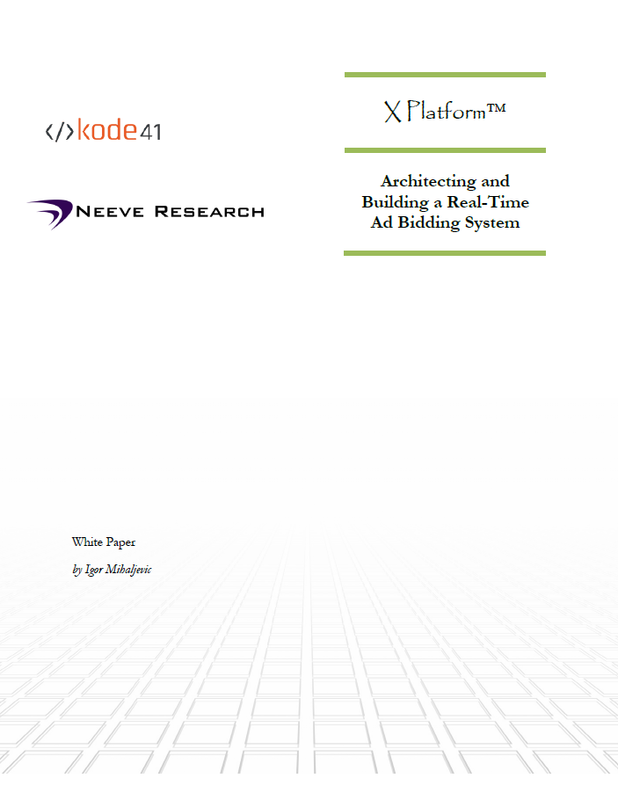 The webinar that you can watch below features Colin MacNaughton, Head of Engineering at Neeve Research, and Igor Mihaljevic from Kode 41, as they share new techniques for accomplishing this in the context of an Ad Exchange application. The presenters are two of the best low latency and distributed system engineers in the industry and have solved various challenges for mission critical systems at Fortune 300 organizations. Please do not hesitate to download the whitepaper that explains the system in detail. Recording courtesy of Neeve Research. All right reserved. Finally, for more info about Neeve Research and X Platform please visit Neeve Research website, X Platform online documentation and other Neeve Research webinars that discuss various X Platform applications. Thanks for reading. Drop us a note at info@kode41.com. It would be great to hear from you. © 2016-2018 kode41.com. All Rights Reserved.